I work for a popular TV show purchasing items to dress the sets. Often the show needs items from different periods throughout history. I do a massive amount of shopping in my job and I just wanted to say that Q Antiques makes my job much easier. I'm always really impressed with the depth of their knowledge on antiques and the period they belong to and most importantly; the help they provide me finding what I'm looking for. Thank you Q Antiques and Design! The items shown look exactly as they do in person. Kim is very knowledgeable about her products and will help you find additional information whether needed or just for curiosity's sake. She is also very friendly and extremely passionate about her industry. I wish I could buy everything she has to offer! Purchased two rare Amphora vases from Kim. She was professional and her knowledge on the objects helped my decision to own the vases. always seems to be something special that you never realized you just can't live without. Kim has been a wonderful help in finding Kayserzinn and other Art Nouveau treasures for my collection. Her prices are always very fair and everything is packed nicely and arrives quickly. I heartily recommend her for her exquisite taste and friendly transactions. Great experience. 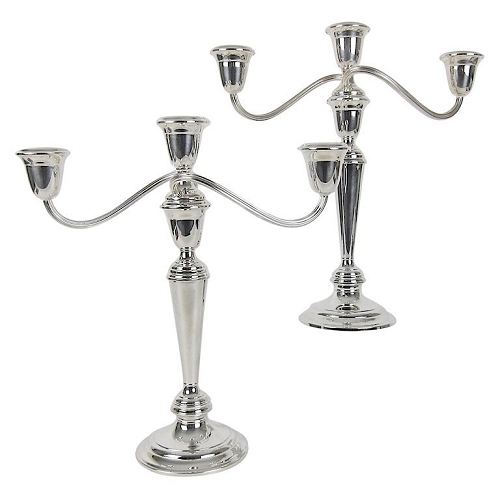 Loved my items (a silver straw set) and seller was very responsive on email, and very detailed, friendly and honest in the information she provided. I would buy again for sure! I have had great experiences with Q Antiques and Design. Kim has impeccable taste and provides exceptional customer service. This is one of my main go to sites for gifts. In fact, I frequently love the objects so much I end up keeping them for myself. So glad I found Q Antiques and Design. Fantastic packaging! Wow impressed by how well this was packaged! Very pleased. Arrived even faster than I thought so another plus to that. Excellent product. Amazing and fast customer service. Wonderful seller! Very pleased with this seller and would gladly do business with them again anytime! I LOVE These so much I want to buy another 4 place settings! Item arrived prior to the due date. Very fast! Packaged extremely well. Exactly as described. I am waiting on ink so I can try it out. Excellent vase. Great seller. Top of the line. Fast delivery. Absolutely amazing vase. Packaged expertly. A pleasure to buy from. Beautiful item with great service that was personalized. The paperweight arrived ahead of schedule and in perfect condition. It is as beautiful in reality as it is in the picture. The Item is very nice. I bought this as an anniversary gift for my wife. It is much nicer than it looks in the picture. However the rose inside is a bush rose, not a traditional stemmed rose, so it is smaller than I expected. That is not necessarily a bad thing but I did want to mention it so that the size and type of rose is known. Superb double box packaging, quick delivery. Delighted with item and excellent service. Perfect! Thank you so much! They're just beautiful. Highly recommended vendor! Very Pretty!! Accurately described, ships quickly AND packages well, happy!! Just as promised! The plate is lovely! Super-fast shipping too!! THANKS! !